The Walter family not only set up Bearwood Mansion, but also created a model village at Sindlesham, plus a new ecclesiastical parish of St. Catherine’s, Bearwood. A new church was built on the north of Bearwood Road opposite the Mansion. The parish consisted of the Liberty of Newland, Sindlesham, parts of Winnersh and land alongside Bearwood Road. 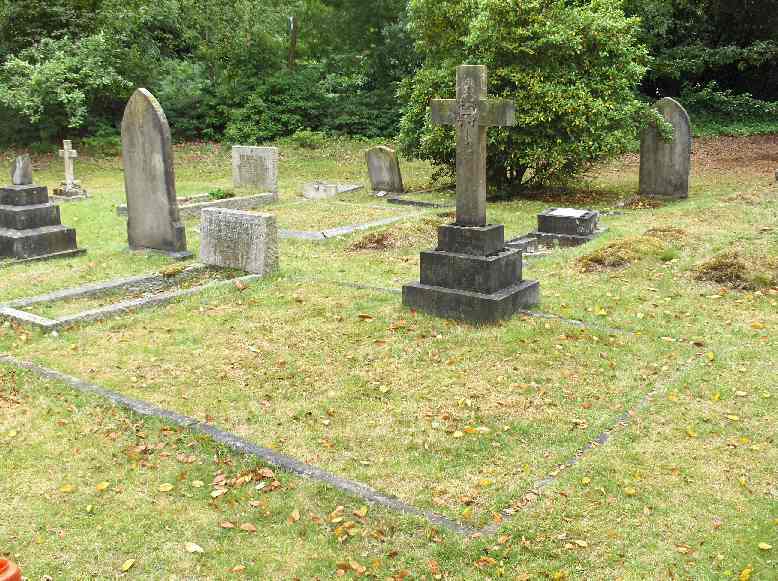 The large grave shown on the right is the memorial for the family of John Walter II of Bearwood Mansion, who died in 1847. Banns of Marriage, 1851 – 1980. As far as the Liberty of Newland was concerned, to what extent did its inhabitants use the new parish church? Those living at Arborfield Cross had the choice of a mile’s walk to St. Bartholomew’s at Lower Arborfield, or two miles’ walk to St. Catherine’s, Bearwood. 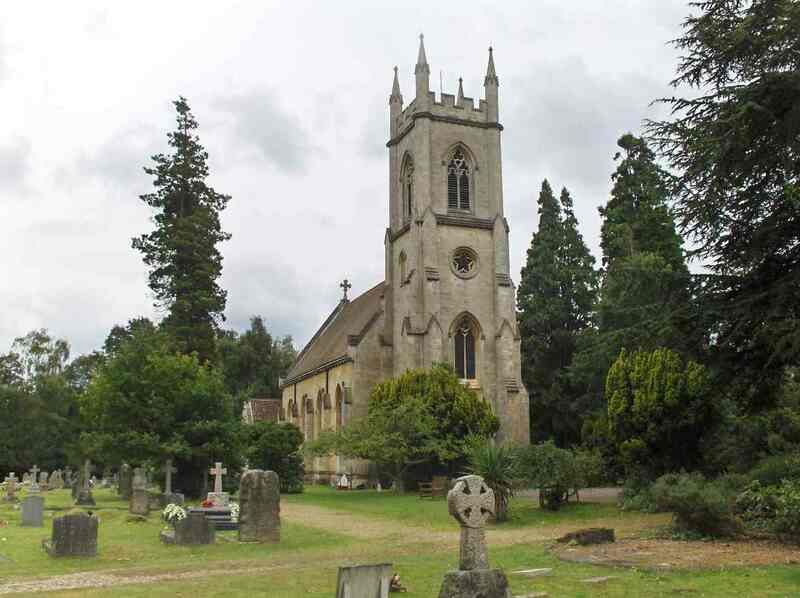 It is clear from St. Bartholomew’s parish registers that most of those at Arborfield Cross regarded Arborfield as ‘their’ parish, but to start with, a few Arborfield Cross families attended St. Catherine’s. The St. Catherine’s Parish Registers can be a bit vague about location, so it can be difficult to work out just who was from the Liberty of Newland. ‘Bearwood’ and ‘Sindlesham’ not only encompassed the communities around the green at Sindlesha m, but also as far as the Mole Brook on the road to Arborfield Cross where the Jeacocke family lived for many years. In the early 1860s the mediaeval St. Bartholomew’s church was replaced by a new Victorian building far closer to Arborfield Cross, and it seems that from this time, more and more Arborfield Cross folk were baptised, married and buried there rather than in Bearwood. The Simonds family of Newlands had long been associated with St. Bartholomew’s; not only did the Rector’s daughter Ellen Hayes marry John Simonds III, but John’s sister Mary married the Curate, Rev. Wyndham C. H. Hughes D'Aeth, in 1866. The curate’s family lived at Arborfield Cross for some years afterwards. A century later, in the 1960s, the ecclesiastical boundaries were quite anachronistic, and the then Rector of St. Bartholomew’s, Geoffrey Carr, was energetic in welcoming new residents of Arborfield Cross and encouraging them to attend his parish church. Finally, the benefices of Arborfield and Barkham were united under a new Rector in 1977, and the Church of England re-drew the boundaries in the 1980s. Anyone interested in family history in Arborfield and Newland should consult the St. Catherine’s Parish Registers as well as St. Bartholomew’s. Just to give an idea of what they may find, here is a small selection of Baptisms, Marriages and Burials of local inhabitants. 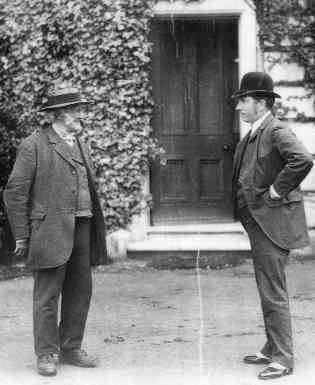 May 31st 1846: William, son of William Cooper of Carter’s Hill, Carter. Born May 6th. 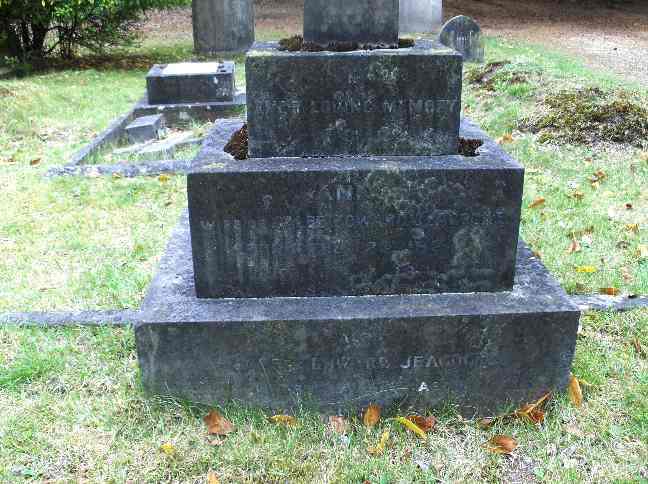 October 4th 1846: John, son of Samuel Mileham, Sindlesham, Carpenter. Born September 15th (Samuel Mileham was landlord of the ‘Mole’ P.H.). January 17th 1847: Clare, daughter of Richard Chapman, Newlands, Game Keeper. Born November 26th. May 7th 1848: William, son of Moses and Jane Blake, Newlands, Sawyer. May 28th 1848: Edwin George, son of Isaac and Esther Blake, Newland, Sawyer. Born April 26th. February 15th 1849: Austin, son of Samuel Mileham, Sindlesham, Carpenter. June 3rd 1849: George, son of George and Anne Watson, Carter’s Hill, Labourer. July 22nd 1849: Mary Ann, daughter of Caleb Edward and Ann Jeacocke, Newlands, Bailiff. April 30th 1852: Oceanna or Oshinny, daughter of Joseph and Siberaha Smith, staying with W. Simonds. Travelling Basket Maker. Privately Baptised at my house. I could not understand the name and have only given the sound. 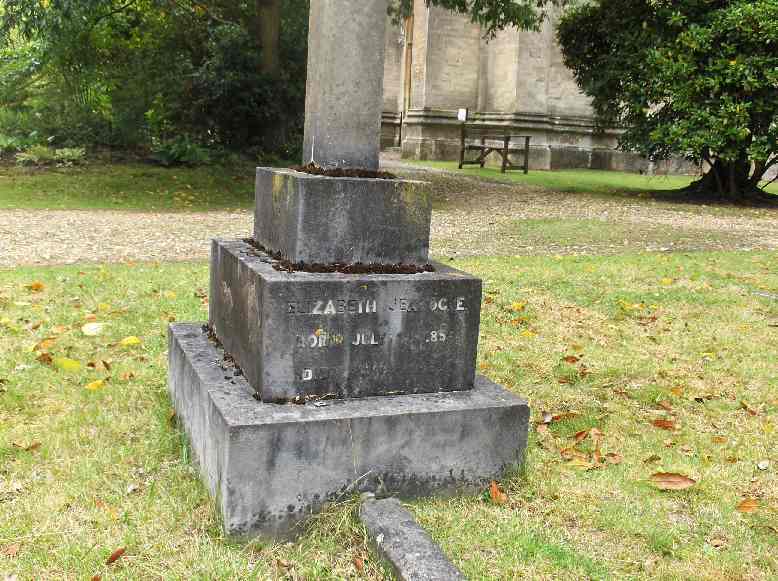 September 19th 1852: Louisa, daughter of Thomas Chapman and Louisa Pither, Arborfield, Carpenter. December 12th 1852: Sarah Jane, daughter of William and Sarah David, Newlands, Coachman. 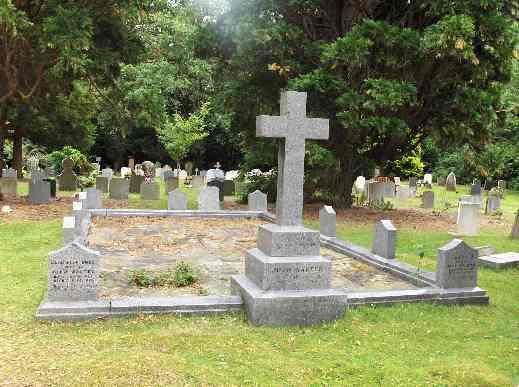 September 14th 1856: Ellen Leighton, daughter of John and Eliza Giles, Arborfield Cross, Baker. October 9th 1861: Sarah Avice, daughter of Caleb Edward Jeacock, Newland, Farm Bailiff. Privately. Received 30th May 1869 [?]. Dolben Paul, Rector. January 10th 1894: Florence May, daughter of Joseph and Rosina Godwin, Carters Hill (Arborfield), Hotel Waiter. January 1st 1911: Mabel Kate, daughter of William and Rosa Batt, Gravel Hill, Blacksmith. December 8th 1918: Peter Hugh, son of William Henry and Eunice Harborne Bayley, Bearwood Rectory, Rector of Bearwood and Chaplain to the Canadian Forces. Born November 2nd. June 29th 1919: Dulcie Evelyn, daughter of George William and Esmerelda Evelyn Hogburn, Gravel Pits, Sindlesham, General Labourer at Aerodrome. Born February 22nd. August 11th 1846: James Tayler, full age, Bachelor, Bricklayer, of Arborfield (Father: James Tayler, Tailor), married Chalotte Jones, Spinster, of Arborfield (Father: John Jones, Papermaker). Witnesses: William Mears and Ann Tayler. May 13th 1847 (Licence): William Tayler, 36, Bachelor, Paper Maker, of Arborfield (Father: James Tayler, Tailor), married Ann Pither, 25, Spinster, Newlands (Father: John Pither, Farmer). Witnesses: Ann Tayler, John Tayler. September 26th 1861: Thomas Bentley, full age, (occupation blank), of Arborfield (Father: William Bentley, Wheelwright), married Ann Pewsey, full age, Spinster, Arborfield (Father: John Pewsey, Plumber). April 17th 1876: Jesse Cox, 25, Bachelor, Engineer, of Arborfield (Father: James Cox, Engineer), married Elizabeth Cox, 23, Spinster, of Arborfield (Father: John Cox, Labourer). Witnesses: Charlotte Tayler, James Cox. January 17th 1847: Thomas Dod, Newlands, aged 47. January 31st 1847: Thomas Treacher, Newlands, aged 77. May 12th 1850: Elizabeth Mileham, Sindlesham, aged 89. July 8th 1863: Elizabeth Attwell, Gravel Pit Hill, aged 67. July 12th 1863: Ellis Parker, Bearwood Dairy, aged 7 years; by Coroner’s Order (Accidentally Drowned). Inquests before Rupert Clarke, Esq. Death from Drowning whilst Bathing - On Friday the 10th inst., at Hurst, on the body of Ellis Parker, aged seven years, son of George Parker, dairyman. On the previous day the deceased took a dinner to his brother, who was employed on the estate of John Walter, Esq., M.P., watching cows near the lake in the park. They both undressed and got into the water, when deceased was unfortunately drowned. The brother ran for assistance, but the body was not discovered until about an hour after immersion. Verdict: "Accidentally drowned".]. May 28th 1868: Thomas Attwell, Gravel Pit Hill in Bearwood, aged 74. July 14th 1914: Mary Mileham, Hurst Almshouses, aged 95. March 26th 1934: Sarah Cogle Dimond, Carters Hill, Newland, aged 76. Note: The Jeacock(e) family were very involved with life in Arborfield. Caleb Jeacocke, from Alton in Hampshire, was aged 28 and living at Newland House with Charles and Sarah Simonds in 1841. Ann Jeacock, aged 55, also lived at Newland House; was she his mother? 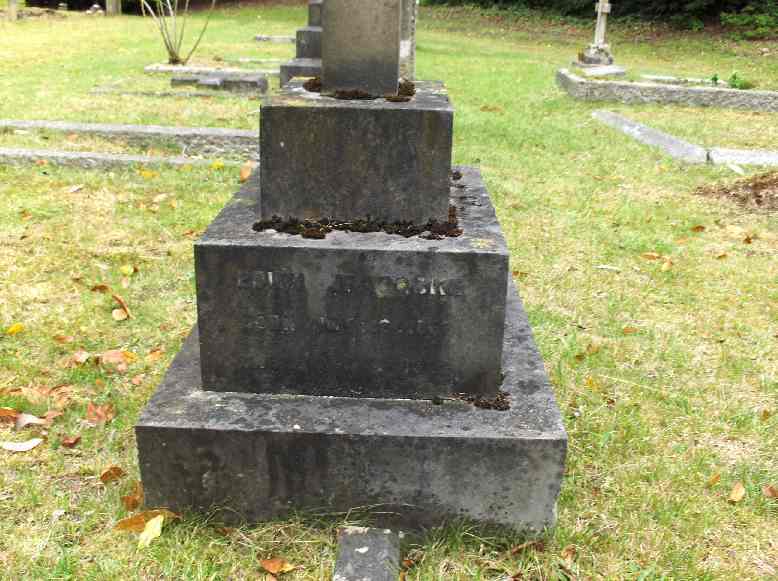 Caleb married Ann Chapman on October 19th 1848 at St. John the Baptist, Shoreditch, and by 1851 he and Ann, with their 2-year-old daughter Mary Ann, were at ‘Poplars’ by the Mole Brook on Sindlesham Road, where they lived for many years. Caleb was Enumerator for the Census for several decades, and in later years his son John and daughter Avice carried on this duty. By 1891, 84-year-old Caleb was described as a ‘Farm Steward’ rather than a Bailiff. A ‘Miss Jeacocke’ was the organist at St. Catherine’s for many years, playing at the funeral of John Walter III in 1894 and of Arthur Walter in 1910. The south side of the cross commemorates their daughter Elizabeth, shown here with the church tower in the background.